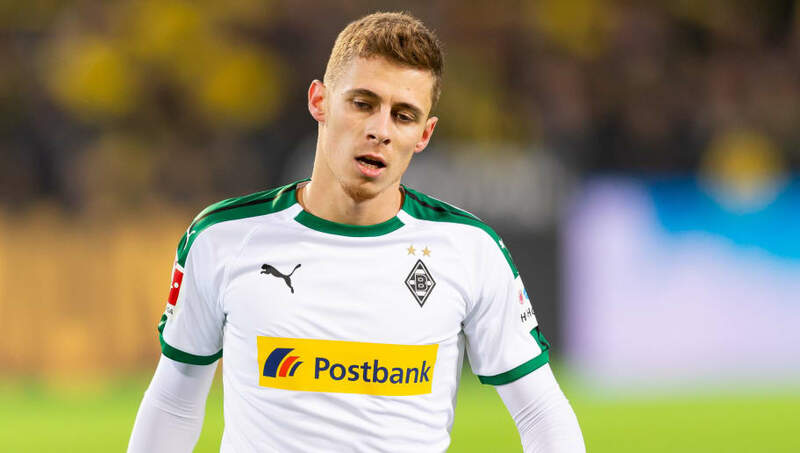 ​Current Bundesliga leaders Borussia Dortmund have received a welcome boost in their pursuit to sign Thorgan Hazard as Chelsea have reportedly waived their 'matching right' clause for him. The Borussia Monchengladbach playmaker has been eyed as a possible replacement for the Chelsea-bound Christian Pulisic, who agreed a £58m move before staying at BVB on loan for the remainder of the season, although a clause involving the Premier League club meant they had the right to be notified, and match any offer for Hazard. According to ​Bild however, ​Chelsea waived the rights of the clause during the negotiations for Pulisic, meaning ​Dortmund wouldn't have to contend with waiting for a response from Maurizio Sarri's side for the former Blues player should an offer come in, making the prospect of signing Hazard significantly easier. It's believed that €42m would be enough to prise the versatile forward away from Borussia Monchengladbach according to the aforementioned publication, although should a deal be completed, it's unclear whether Hazard would join BVB in this window or the summer. The 25-year-old, whose contract for Die Folhens expires in 2020, has been in fine form this season, scoring nine goals and providing six assists in 17 Bundesliga games, helping the club to third place in the table prior to the winter break. Hazard​ has spoken previously regarding the possible transfer, claiming: "I cannot say what will happen after the end of this season. I may possibly extend my contract as I’m very happy here and family are also settled. Max [Gladbach's sporting director] and I will speak about this when it is the right time." Max Eberl had a more pragmatic response regarding Hazard's future as quoted by the ​Rheinische Post, stating: "If he refused a contract extension, then it would make no sense that he remains for another year."